April 24 every year is World Laboratory Animal Day, and the week surrounding this date is known as WWAIL – World Week for Animals in Laboratories. Most people are completely unaware of the exorbitant numbers of animals that are tortured each year for the testing of drugs, weapons, surgical procedures, cosmetics and household products. Even a small country like Australia uses approximately 7 million animals each year for various scientific research and teaching projects. Speak out whenever possible against animal cruelty, and write letters to our politicians and to the media voicing our dissatisfaction with the secrecy and wastefulness of the biomed industry. Eat a healthy vegan diet, exercise regularly, keep an optimistic attitude and utilise natural therapies if we ever feel unwell, because enjoying a healthy body and mind keeps us away from pharmaceutical drugs and helps to withdraw our money from the cycle of biomed research. All these things will help put an end to the cruel activities that are carried out, (with impunity, and without conscience), behind the closed doors of research laboratories. Humans are the most dangerous animal on this planet. I feel really pity on those animals. Most of us are well aware that horses are some of the smartest animals on the planet. They learn quickly and show real emotions when troubled or distressed, and on the contrary, display exemplary performance in a number of tasks if they are fond of their owner and the treatment they are given. 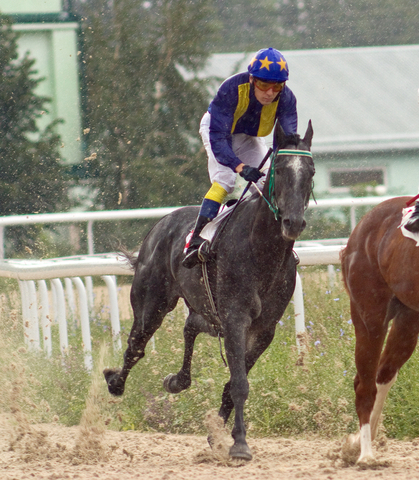 Kentuckyderbybetting.com appreciates that a horse is much more than a mere race animal and that winning at live horse racing or Kentucky derby betting requires an innate knowledge of a horse’s very distinct needs and personality types. So, let us have a brief look at some of the key benefits that animal communication can have on horses. Communicating with animals of a higher intelligence such as horses can be a daunting task for owners and trainers. A horse may exhibit certain behaviors that can coincide with a host of different emotions. Those who can effectively communicate with horses through gentle methods and speech, also known as horse whisperers, have the ability to ascertain what is going on inside the equine mind. For example, many trainers may wonder if their horse actually loves them. While this is a difficult question to answer, an animal communicator may very well be able to determine how fond the animal is of the humans it interacts with. Additionally, training a racehorse can be a decidedly difficult task should a regime not be tailored to the horse’s specific personality. As explained in this article, a great deal of mutual confidence and psychology needs to be combined with a static physical regimen. What are the Health Benefits of Animal Communication? Due to the fact that a trainer is able to gain a much better understanding of the individual needs of each unique animal, the physical and emotional windfalls can be profound. For example, there are many instances when a horse simply may not be aware that what it is doing is wrong. Better communication will often times result in marked improvements of certain behaviours. Many actions that may have been thought of as intrinsic personality traits may actually be the result of a communication issue. A more thorough understanding of the animal’s needs can help correct problems with stomping, kicking, pawing, self-mutilation, biting and a plethora of other undesirable and potentially dangerous habits. Furthermore, let us also not forget that the diet of these animals is key to their performance should they participate in live horse racing. As made clear in the USHJA website, a proper horse diet is essential to their health, stamina, strength and longevity. If we then take this observation a step further and realize that many owners may not be aware that their animals may require a more specific diet, the happiness and performance of this horse can be negatively affected. Animal communication can help discover if any nutrients may be lacking or on the contrary, if a horse is perhaps receiving too much of a certain substance such as starch. How Can This Relate to Betting on the Kentucky Derby?